There’s no doubt that chatbots have rapidly become a go-to tool for digital customer service, especially in the world of ecommerce. In fact, a recent Forrester Consumer Technographics report found that 60 percent of U.S. adults are already using online messaging, voice or video chat services. For many digital retailers, chatbots have drastically reduced the number of inquiries to the call center, while also improving the efficiency of customer service interactions. This has led to a reduction in customer service costs and, for many, an improvement in customer satisfaction. However, as consumers become more accustomed to the level of digital engagement that e-commerce giants like Amazon provide, offering simple chatbot and online messaging services is no longer enough to keep customers happy. This was recently seen on Facebook (News - Alert), where the company’s messaging application – boasted for helping brands better connect with consumers – had a 70 percent failure rate when it came to fulfilling user requests. By leveraging Facebook Messenger as a way to solely defer contact center calls and solve customer problems in a simplistic and efficient manner, brands failed to showcase how they can digitally connect and offer Amazon-like personalized service to customers. So, how should digital retailers rethink their chatbot strategy? It starts with moving beyond achieving call center deferment and efficient interactions and, instead, focuses on looking to identify how to extend the quality of each interaction and consistently meet the changing needs of their customers. 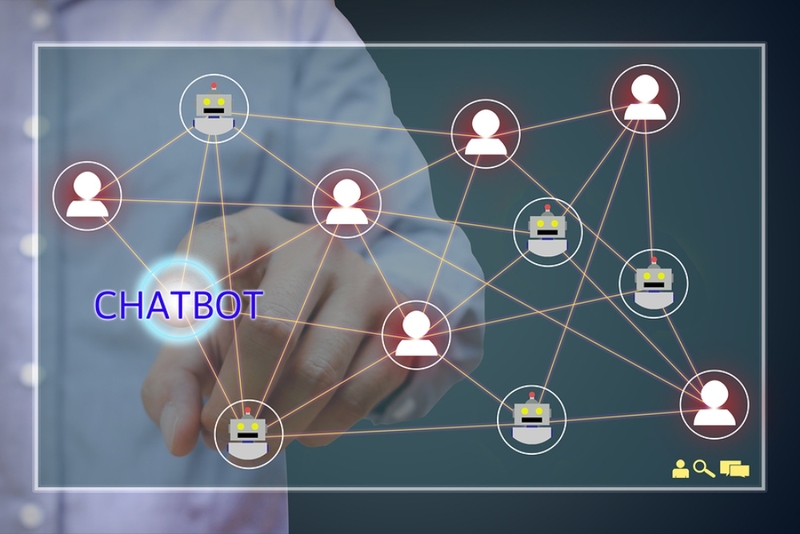 Leveraging a chatbot’s ability to uniquely engage and reach customers, while also collecting specific data regarding consumer needs and sentiment, brands can build a more personalized and intimate connection. Amazon has established itself as a purveyor of customer data by continually identifying how consumer behavior and the unique needs of each customer change over time. This allows the ecommerce giant to provide unique engagement that is aligned to thousands of individual customers every day. In the same way, chatbots provide other ecommerce brands the opportunity to collect insights on consumer needs, behaviors, and sentiment in real time. The best part? By leveraging AI technology, brands can automate data analysis to provide easy, digestible insights that digital retailers can put into action immediately. When it comes to shifts in consumer behaviors or needs, this allows ecommerce brands to have a finger on the pulse. For example, should a number of customers over a short period of time engage with a brand’s chatbot to inquire about expedited delivery options, the digital retailer can easily spot the dramatic increase in questions on this topic and act – be it to offer new shipping options or ensure information on current ones is easy to find. This empowers ecommerce brands to be more reactive to consumer needs, not only improving the overall customer experience, but also showcasing their dedication to consistently meeting the changing demands of shoppers. In the same way brick-and-mortar engagements focus on driving customers to a sale, digital customer service interactions shouldn’t just hinge on how quickly a chatbot can complete a conversation. On the front-line of a brand’s digital presence, chatbots have a unique opportunity to drive a more valuable connection with each visitor to the site. In today’s crowded ecommerce market, chatbots can in fact help to improve customer retention and increase sales. One of the best ways to ensure consumers have the opportunity to engage in a valuable conversation is to incorporate AI and natural language processing within chatbot applications. Integrating these technologies allows chatbots to engage in contextual conversations with customers, accurately responding to a question – regardless of how it is asked – and retaining previous information to create an interaction that is easy and familiar for customers. For example, should a user ask, “Is the red knit skirt available in a size medium?” and then follow up with “What about the white linen skirt?” the chatbot can understand that the user is still looking for a size medium and answer without forcing the customer to repeat information. This type of intelligent interaction doesn’t just keep customers interested, but it could encourage them to purchase items they might not have originally planned to buy. It also makes the customers feel more acknowledged by a brand, moving beyond just staying on top of larger changes in consumer demand and adhering to the individual needs of each and every shopper. When it comes to deploying chatbot services, ecommerce brands have an opportunity to not only improve the efficiency of their customer service processes, but also upgrade the overall customer experience. Capitalizing on advancements in chatbot technology, such as in AI and NLP, while also collecting relevant data on customer interactions, digital retailers can offer similar service to that of Amazon, leading to higher sales and increased customer retention. Most importantly, as customer preferences continue to shift toward digital channels, brands’ ability to identify new demands and, therefore, maintain customer satisfaction will become more seamless. Yaniv Reznik is CPO and senior vice president of customer success at Nanorep (www.nanorep.com).